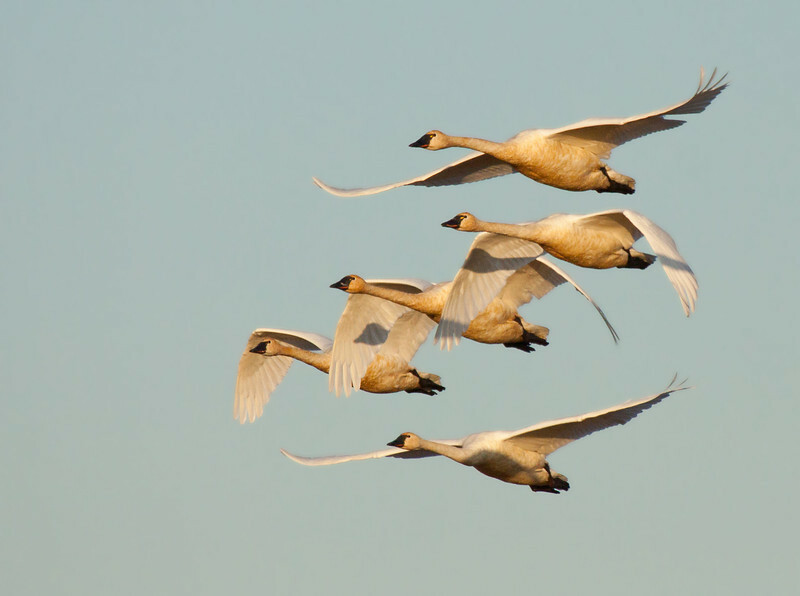 A gallery highlighting some different views of tundra swans and sand hill cranes photographed mainly at the Ridgefield National Wildlife Refuge in Washington. This group of tundra swans was seen in the evening light of Ridgefield National Wildlife Refuge. Group after group was seen taking flight to move on to some other waterhole for the night.